Enjoy family-friendly accommodations for your North Myrtle Beach vacation at Coastal Shores. This North Myrtle Beach resort is a quiet retreat on the oceanfront that also has a swimming pool. Nestled just eight blocks south of Main Street in the Ocean Drive section of North Myrtle Beach, South Carolina, Coastal Shores puts you close to the beach clubs that feature live beach music and shag dancing. You can walk to Main Street where shopping and dining in a charming area of town are quite enticing. Coastal Shores is a small, three-story North Myrtle Beach resort. There are two sets of stairs leading to the three floors of North Myrtle Beach condo rentals at Coastal Shores. This building only has four vacation rentals per floor so if peace and quiet is what you want in a North Myrtle Beach vacation accommodation, then this North Myrtle Beach resort is for you. There are two-bedroom, two-bath North Myrtle Beach condominiums for you at Coastal Shores and they can sleep six people. The interiors of these North Myrtle Beach vacation rentals are most pleasing as they are filled with sunshine, amenities and beautiful conveniences. Everybody in your family will find nooks they most love in these North Myrtle Beach vacation rentals. There are beautifully decorated bedrooms, a living room filled with comfortable furniture, the kitchen that has it all and the oceanfront balcony that is laden with inspiring views of the Atlantic Ocean. 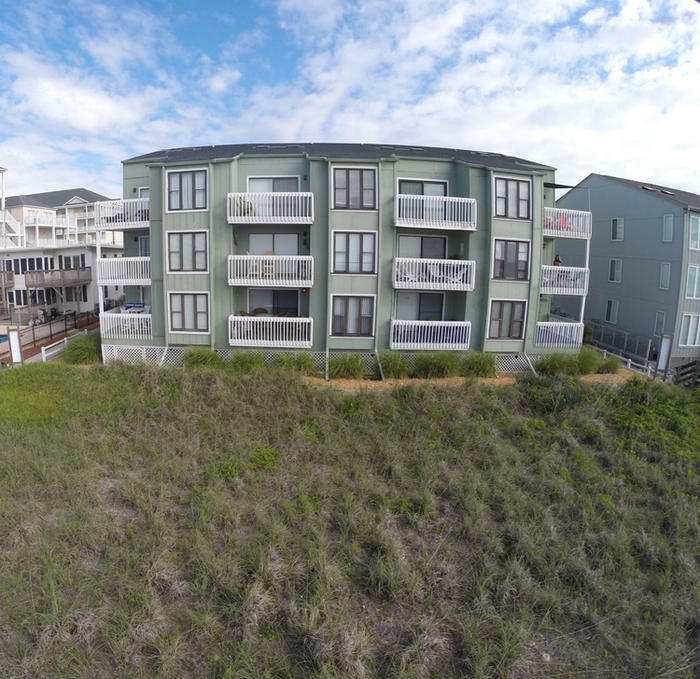 The two-bedroom condos in North Myrtle Beach, SC at Coastal Shores sleep up to six people. With multiple televisions, a DVD player, Internet access and space to play games and settle down for a movie, these North Myrtle Beach vacation rentals are most accommodating. Each of these condos in North Myrtle Beach, South Carolina has a balcony that faces the Atlantic Ocean. They are furnished so you can sit outside and enjoy your North Myrtle Beach vacation surroundings to the maximum. When you have the luxury of an oceanfront balcony at your North Myrtle Beach condominium you also have the luxury of seeing an oceanfront sunrise without ever leaving your private condo. Set your alarm and get up just before dawn. With coffee in hand, retreat to the oceanfront balcony for a dazzling show where the dark sky turns many shades of pink, peach and purple as the sun comes up over the water. Have your camera ready because this phenomenon will make a fantastic North Myrtle Beach vacation photo. Elliott Beach Rentals is not affiliated with onsite management or the HOA of Coastal Shores.